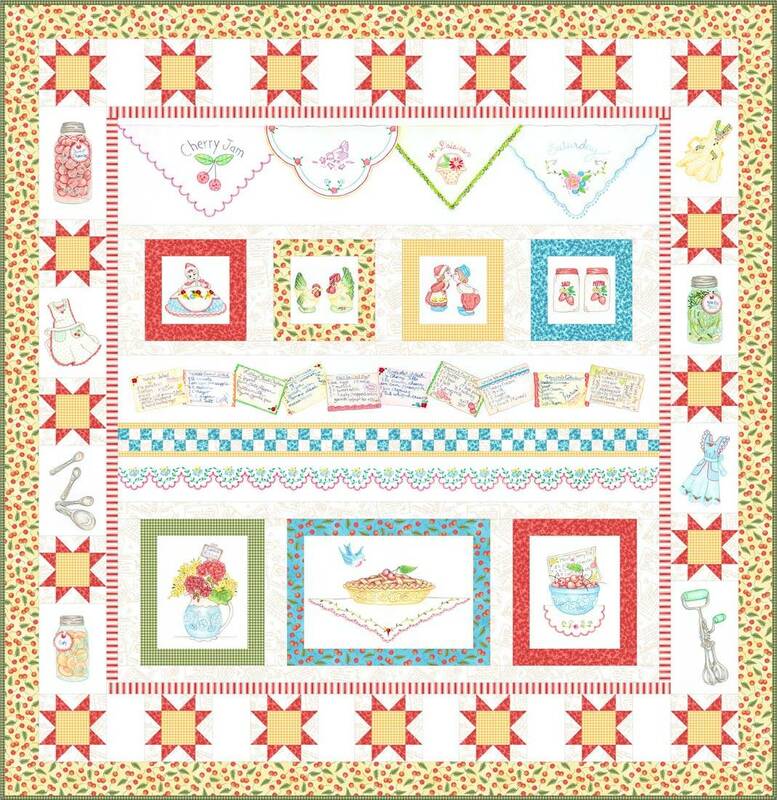 Take a peek into Grandma’s kitchen, from the dish towels window valance to the canning jars full of fruit and pickles. I hope it makes you smile! Quilt measures 68 1/2” x 70 1/2” without binding. Cosmo embroidery floss listed below is the full list to complete all 10 blocks of the Summer Kitchen quilt.